This is the full interview with Loren Grossman of Wilde Farm wines, of which snippets appeared in the December 11th, 2013 article, “Rise of the Bi-Coastal Boutique Vigneron” on UndergroundEats.com. Three of Loren’s wines are reviewed in the Underground Eats piece. JC: Wilde Farm – give me the scoop. 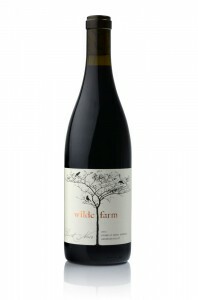 LG: Wilde Farm is in Montclair, NJ. I have lived here with my family since 1995. It was built by Samuel Wilde in 1903. There is a line drawing of it on the newsletter linked to the site. The winery is in Forestville, CA. 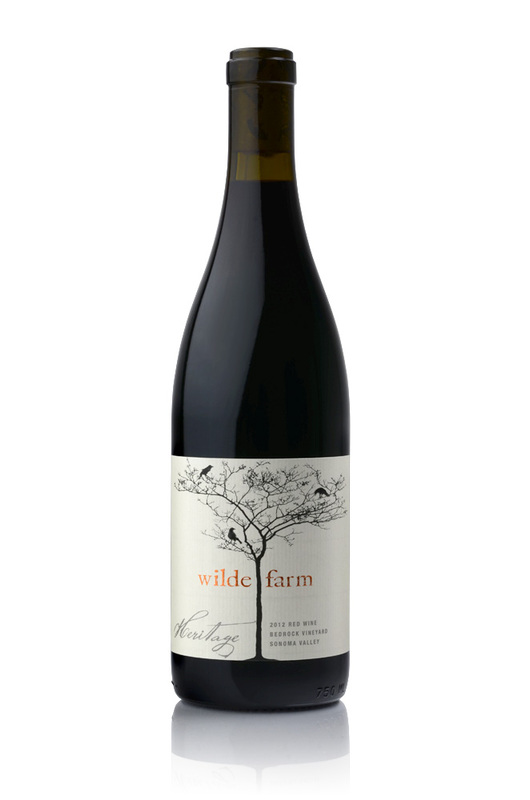 The reason we named the wine Wilde Farm is because the house itself is very much a metaphor for my wine philosophy: It was always meant to be a home that would endure. It has an edifice that may look plain or foursquare to the casual glance but actually is beautiful in its nuance; the way it captures light and casts shadows; the pegged, uneven oak stave, hand-quarter sawn floors; the hand carved Chestnut moldings; hand plastered walls and ceilings and the slight wave of the hand made glass windows. So it is with Wilde Farm wine. Growing up in the Marche in Central Italy I knew wine as more of a food stuff than a sophisticated libation. As a child, my step-father and I would go once a month or so to the local wine co-op with empty damijans (not sure of spelling) [me either even though I am Italian too–JC], one for red and one for white. We would fill them with the local Loro Piceno and Verdicchio and then bring them back home to our cantina, where he and I would bottle them ourselves and seal them with metal caps, to be stored for family consumption. Kids were allowed to have some with lunch and dinner, usually mixed with some water. JC: How did you become a maker of wine? LG: Because I travel frequently and particularly to California (my day job is as a strategist for a large marketing communications firm with offices in LA and San Francisco), I began to visit vintners in Northern California, which to me bears more than a passing resemblance to central Italy where I grew up. I visited vintners I knew were beginning to make wines in the style I appreciated (higher acid, lower alcohol and more honest expressions of the land in which the grapes grow). It was thus that I met Pax Mahle. I really loved Pax’s wines and really felt that we shared the same philosophy around wine and winemaking. Upon my return home, I found an email from Pax thanking me for the visit and suggesting that someday I should really think about making a wine. The seed was planted. A short while later I called him and told him that if he really meant it, would he consider working with me on just such an endeavor? I took him a bit by surprise I think, but after some quick basic math we both agreed that it could work and shortly thereafter Wilde Farm wines was born. JC: How much debt have you amassed going into the wine business? LG: The short answer is there is none. This was the right thing for me at the right time. We are very purposeful about how we spend money. We buy our grapes from amazing, old vine sites. I rent equipment and space from Pax in a bit of a winery commune kind of place (Ryme Cellars, Jolie Laide and Wilde Farm all make wine there. Ryme and JL are made by Ryan Glaab and Scott Schultz both of whom work for Pax and his label Wind Gap as their day jobs. All roads lead to Pax!) in Forestville, just south of Healdsburg. We do not believe in “new oak programs” so we do not waste a lot of money doctoring our wines that way. Not to suggest we cut corners…we do not. I invest significantly in site, variety and in a wine maker that brings out the best in already amazing raw materials. I feel it’s worth it. JC: You live on the East Coast and make a west-coast wine. Does that make you a carpetbagger? I’m no “hit-it-big hedge fund manager” who plays chateau owner as a hobby. This is a big deal to me. I realize that there is kind of a clichéd “living the dream” kind of thing (if not stigma) to moving out west and making wine, let alone doing it from a distance, without having paid your dues, without starting as a cellar rat and making your way to winemaker. That said, I’m not trying to fool anyone. I feel like these are good, honest wines that fill a need and will be happily received by those who dig this style. The vision and the mission are mine. These are not white labeled products and this is not in lieu of owning polo horses or something. The enthusiasm and hard work required to realize the potential from grape to bottle are mine. I feel like I am contributing and am anxious to do more as our winery and brand evolve and mature. JC: You have sons – do they drink wine? LG: Yes, my boys are already budding wine geeks and truthfully have excellent palates. We have already visited the Maremma in Tuscany and CNdP in Southern France together. They totally get it and I hope someday to be able to offer them something substantive in Wilde Farm that they might consider continuing as they come of age. JC: What do you think about spending a decent chunk of hard-earned mullah on a bottle of wine? LG: A decent chunk? Ha. [“Ha” insert by me for comedic affect–JC] Yes I think so, though it is not required always. There are special bottles that could and should be for special occasions. But there should also be everyday wine that is well made, goes with food and isn’t so expensive that you need to really wonder if now is the right time to open it. Wilde Farm shoots for that niche of great, honest not too expensive wine that goes great with food for those that truly love wine. I think there are lots of choices for wines like that from outside the U.S. but not as many domestic. I think we could use more. JC: Doing any events with Underground Eats? Any dirt on Harris? 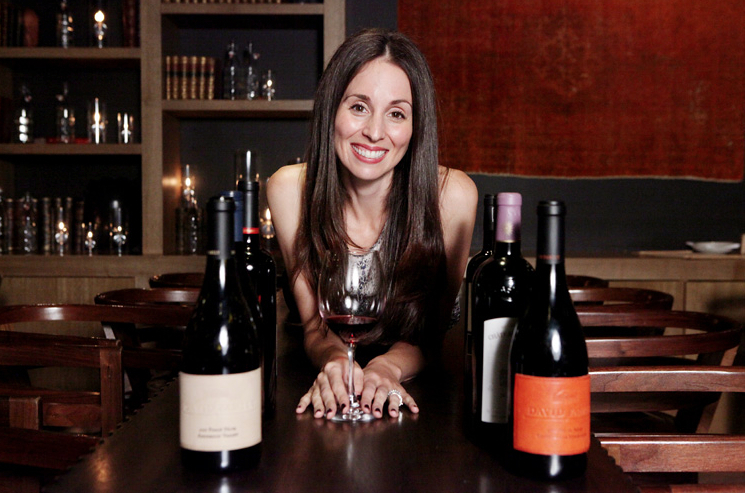 This is the full interview with Michelle Reeves of David Family Wines, of which snippets appeared in the December 11th, 2013 article, “Rise of the Bi-Coastal Boutique Vigneron” on UndergroundEats.com. Two of Michelle’s wines are reviewed in the Underground Eats piece. JC: David Family Wines – give me the scoop. MR: Originally from Australia, I arrived in New York in 2001 ready to take on the corporate world. Managing sponsorship deals for global sports brands like New York Yankees, PGA, and the Olympic Games I spent 8 years traveling the world with top clients in the sports world. But (there’s always a but) when I moved to San Francisco in 2003 I was distracted by the California wine industry. Still working in my corporate job I asked a local wine store to let me work for them for free on weekends and holidays so I could learn more about wine. I had no idea what luck I was in for as I worked alongside some of the industry’s most influential and gifted winemakers, sommeliers and authors including Bartholomew Broadbent [son of Michael Broadbent who is the Director of Christie’s as well as a lauded author on numerous books about wine—JC]. 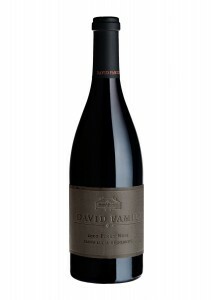 In 2006, I started David Family Wines on my own with nothing but a ton of gumption and my savings. My maiden name at the time was Turnbull, since that’s already an established winery in Napa [Michelle has absolutely no relation to Turnbull Wines which can’t get over their 100 point score Robert Parker gave their 2010 Cabernet Sauv—JC] I had to consider other ideas. I named the label after my father, David, and small but close family who are all still in Australia. JC: Where do your grapes come from? Don’t lie to me. JC: Oh yeah? How is the wine selling tough gal? MR: So far we’ve had an incredible run since launching our first wine into market. 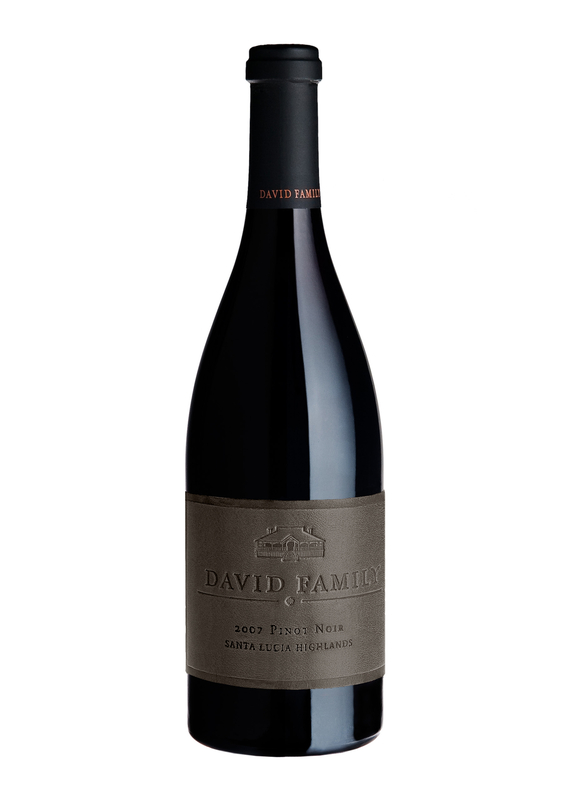 I released 340 cases of 2006 Pinot in 2009. It sold out in 4 months! Today we produce 500-600 cases total, so we’re pretty small. A little luck never hurt anyone. And a lot of luck, well that changes the game I guess. In the beginning we were lucky to be in the right place at the right time. My brother was in LA having a drink one afternoon while trying to figure out what to do after soccer. He met someone at the bar who was hosting a wine event and decided to sign me up for it. I hadn’t even launched David Family yet. I went to the event, poured my wine and the Wine Director for some top wine clubs was there. He tried our wine and a few weeks later sent a note to his global network about us. That put our wine in all the rights hands and it went from there. JC: Why are you making wine in the Anderson Valley and why Santa Lucia Highlands? Does anyone back east know anything about Santa Lucia Highlands? MR: I’m a big believer in doing one thing and doing it well. We focus all our efforts and time making Pinot Noir. I believe Anderson Valley and Santa Lucia Highlands are the two best examples of Pinot Noir in the US. Each appellation shows a very distinct expression of what Pinot Noir can do. Anderson Valley at one end of the spectrum with beautifully balanced fruit and earth flavors, and Santa Lucia Highlands’ rich, bold, decadent flavors. Ha, that’s my brother. Nonetheless, a decent explanation showing how truly unique each wine growing region is. JC: Ah, Marilyn. I’m an Audrey man myself. Anyway, you live on the East Coast. Where? Why make your home in the east even though your wines come from California? MR: Today, I live full time in DUMBO, Brooklyn with my husband and 1 yr old son, Ransom. Previously, I had spent two years living part time in California and part time in New York. I was here personally meeting with every account and training staff at restaurants every evening, weekends etc. As a result the Hamptons is now our second biggest market and they’re only in business for three months a year. The relationships we’ve fostered are only possible by being here and perhaps by building real trust as a ‘fellow New Yorker’. Our dollars go into producing the very best wine, not maintaining land, tasting rooms and hospitality venues. Strangely enough, being in New York allows us to fulfill our mission and that’s to do one thing and one thing only, make perfect Pinot Noir. JC: Do you see trends in cross-country producers? What are the benefits? MR: I absolutely see a trend and a big opportunity for California wine on the East Coast. 1) CA wineries with the most impact in New York are the ones dedicating time here. It’s not enough to let your distributor and sales reps manage it for you. New York is a loud market and the voice for a wine brand has to be loud and more importantly, it has to be genuine. www.iknowthewinemaker.com, I’ve seen a large percentage, approximately 80% of our sales come from New York. The website sells California’s hard to find and even harder to buy mailing list only wine. There’s huge demand here for these boutique, small production wines. I’m excited to see how it continues to grow. JC: Leather labels – my first reaction was “Woah,” then I thought I should buy a case, strip the labels and make one hell of a nice bow-tie. What was your thinking behind the leather label and who made them? Tell me, honestly, they cost a fortune, right? MR: Ha – yes, I love the reactions that our leather labels create. We have a trademark for them; in fact we have the only ‘touch trademark’ in the world for a leather label on a wine bottle. In the industry we talk about wine as a sensory experience of smell, taste, and sight. What about touch? It’s the very first thing we do in picking up a bottle, holding the glass, harvesting the grapes. Despite the long days of labeling every bottle by hand (I end up covered in glue) we stand back and feel great about each individual bottle. No two bottles are alike, the leather is distinct for every label. JC: If I wanted to buy your wines, what are my best options? Are you on any wine lists in NYC? 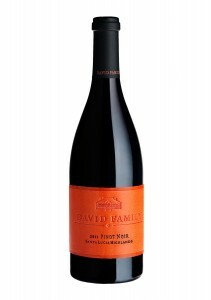 MR: Online is the best way to buy our wine (www.davidfamily.com). We have a Black List club that gives people access to the wines before they’re released to market and at preferred member pricing. And, our Black List members get the exclusive black leather label. JC: EMP? Wow. Rock on. Finally, any dirt on Harris [UGE Co-Founder]? MR: Sadly, no dirt on Harris at all. Give it time, I’m sure I’ll see him at the playground falling asleep as his kids run around and cover him in sand, oh wait, that’ll be my son covering me in sand most likely. Hmm… Will let you know if he ever slips up, unlikely.